Newbie Chronicles: Just Bought the Book – Now What? How do you approach planning for the time required to get a CCNA (or CCENT) cert? What kinds of goals do you set? These are just a few of the questions I hope to tackle in this Newbie Chronicles series over the coming months. You can add your own questions to the list, or over at the initial post where I kicked off the series. Gut Reaction: How Would You Approach It? You know you want a Cisco cert. 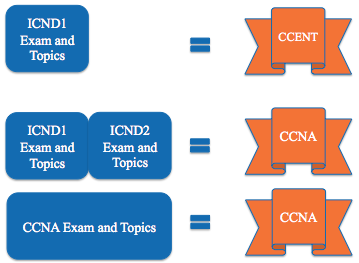 Maybe you have not yet chosen whether to go down the 1-exam path (CCNA) or 2-exam path (ICND1 + ICND2), but you know you want CCNA. Maybe you’re willing to go for the ICND1 exam and get a CCENT, and then decide whether to do more. Regardless, “it” will be the work you have to do to prep for that first Cisco exam. Pass by Date: You chose the cert (CCENT or CCNA), set a date by which to pass, or set a date by which to take the exams with a reasonable shot at passing. Study plan based on hours: You set aside X hours per week, focusing more on putting in the time, rather than setting a particular exam date. Study plan based on activities: You set a plan based on the activities you want to do that week: so many chapters per week, certain labs, videos, etc. Goal-less immersion: No specific timeline or goals, but studying is your #1 non-emergency priority. If you’re not at the ER, you’re studying. Goal-less, no timeline: Like goal-less immersion, without the immersion; you spend the time you can, and take the test when you happen to finish preparing. Each of these approaches requires a different mindset, unless it’s just a big guess. If you’re happy with a big guess, then… never mind. You cannot just read, memorize, and answer knowledge-based questions to pass. It’s like the old story you hear from builders. When building a house, once it’s framed, got a roof and walls, and dried in – that is, when it rains, the rain doesn’t get inside – it looks impressive. You used to have an empty lot, and now you’ve got this huge house standing there. Well, that’s about the 1/3rd mark of finishing a house. With Cisco exams, reading and memorizing key facts is important, but you’ve got more to do. Instead of requiring you to know facts to pass, Cisco requires that you be able to apply those facts. Figure 2 shows a sample smattering of some of those key skills. Note that I will spend some time looking at some of these in this series; feel free to inquire now as you like. So, when you set your plan, plan to do more than read + memorize. So, what are those activities? Well, Figure 3 lists many of those activities. Some of these help build one skill only, while some activities help you build several of the skills from Figure 2. Regardless, all are important to do when preparing. In closing for today, let me ask you about the activities. Which are most important? Where can you shave a little time and deemphasize? What did I leave out of the list of activities? Give me your thoughts, and as I walk through the series, we’ll look at some hints and tips about each of these. That looks like a pretty good list to me. I have been operating off a loose plan, which involves a lot of different resources/materials. I purchased the ICND1 book, and am just about to complete my first read through. Generally, I’ll spend time reading through all the material and making notes of any particular topics that are difficult for me. I’ll also take note of topics that will require additional attention, such as the subnetting math (practice, practice, practice). I also purchased the lab software AND built a full hardware lab (based on your configuration – 3x 1721, 2x 2950). At the moment, I’ve also been going through the skill builder and configuration labs for the CCENT material. This has helped me solidify certain topics I’ve read about in the book, even to the point of being ahead of the book material (such as the sections on router/switch configuration using the CLI). So, I plan on completing the CCENT labs using the software, then diving back into the book for a second pass, in which I will create flash cards for some of the information that requires memorization, AND put more focus on getting down all the information presented in each chapter. After I’ve completed the labs, second book read through, and the flash card creation, I will spend some time on configuring my hardware lab using computers at home to practice “real world” scenarios with real world hardware. THEN I will look into purchasing some practice test software to begin timing myself, as well as getting used to the various types of CCENT test questions (which are very different, from what I’ve read, compared to other cert. tests). If that goes well (90%+), I’ll schedule the test and go for it. If I’m stilling struggling, for some reason, I will look into additional resources, such as CBT Nuggets, then give the tests another go. Might be a bit overkill, and it’s certainly a large chunk of change, but for me…this is what I want to do for a living. I enjoy it, and I want to learn it. Therefore, the investment of time and money is worth it. Thanks for the detailed sequencing. You also made me think of a couple more questions to add to my list of questions to think about for this series over time: are you trying to just pass the thing, or know it well because you want to do it for a living, like in your plan. That certainly impacts whether you spend as much time labbing, for instance. It’s a joy to see folks dive into the details, getting into making it work, and seeing the value. Even after over 30 years now doing networking (gulp), it’s still a better than average day when a good chunk of the day is spent getting something working in the lab. Like you i have purchased all the Wendell’s CCNA books, I even purchased the Network Simulator which makes you focalize on the good command. But, if i may give you an advice, Watching CBT Nuggets Courses (Jeremy’s) at the end will be too late. It does not cover all the topics. In my personal opinion, you should watch it just after reading a chapter, or just before. So, it will help you to understand the concept. Wendell, please, why did you made Labs, and still not a Video for learning? And I wanted to improve my English too. And I’m sure there are a lot of people like me who would really like to have a Video-Mentor from you, but not for Labs, for learning the Courses/concept/lessons. I understood you perfectly well. Thanks for the note! Thanks for the insight on when you like to use Jeremy’s videos. I agree that a lot of people prefer the watch videos as something just before reading a chapter, or just after, but no later than that. Thanks for that. Actually, I do have a CCNA video product, called the CCNA Video Mentor. (http://www.certskills.com/Products/CCNA/CCNAVideoMentor.aspx). It has teaching on various CCNA topics. 5-6 hours total. Note that it is not intended as a comprehensive set of videos, in that it doesn’t cover all CCNA topics. Instead, it focuses on some of the more challenging topics, with the suggestion that you use it along with your reading on these subjects. Note that you can buy it a lesson at a time as well, and there are a few free ones on the DVDs with the books, in case you want to try it out. And thanks especially for suggesting I do a full video course on CCNA. 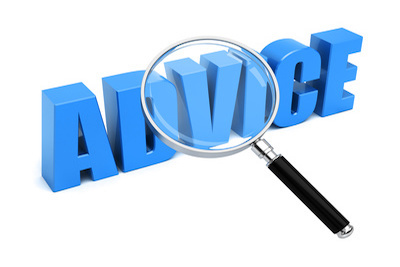 There are issues, having time available being the biggest issue. Maybe if I get an open few months somewhere I could do it! Thanks for the post. I’m really glad that you answered me, and even so quickly! So I think about buy it as soon as possible, maybe in the next days! I’ll be very happy to watch your video and trying to understand with you. Oh, I though your main job was to write books in fact, and specially the CCNA ones. Well, I hope you will have time to do those new videos courses. It will be very helpful for next students. May I ask in fact what your main job is? I have bought the last downloadable version of Network Simulator (Only the 1st edition was aviable for download). I would like to get the 2nd edition to make more exercices on subnet. Do you think the 2nd ed. Will be avaible for Download really on the 26 of March? Okay, now I’m going back to your books, I have some chapters to finish to read, to understand, and to practice today! On the Sim, I spoke with the publisher late last week, and the code update to edition 1 is complete. That update will include the same 50 new labs that come with Sim 2nd edition. It’s just a matter of the publisher getting the code posted in the right places so it will download. Keep clicking the “update” button on the sim each time you use it – it should be within a week. New to all of this and it may be little bit off topic but, It is confusing as to what labs need to be completed to get through CCENT. The lab under the Subnet ID calculation 1 refers you to check the book for CCNA about your answer. So to recap guess need to know what to complete in labs to be ready for CCENT. Thanks for the feedback! Always good to hear how people are using the site, what’s working well, and what’s not. Thanks again! And welcome to the world of networking!